Italian food has become a way of life for me – the pastas, the tomatoes, fresh mozzarellas, and olive oils – make my mouth water and I’m always looking for great Italian restaurants. Ciano, the newest restaurant from the chef and sommelier of Cru (which is now closed), has gotten rave reviews with their home-made pastas and reasonable wine prices. 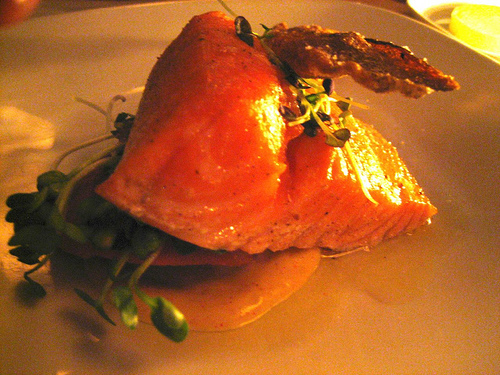 They emphasize that all the ingredients are from “farm to table” which reflects their seasonal, fresh ingredients. 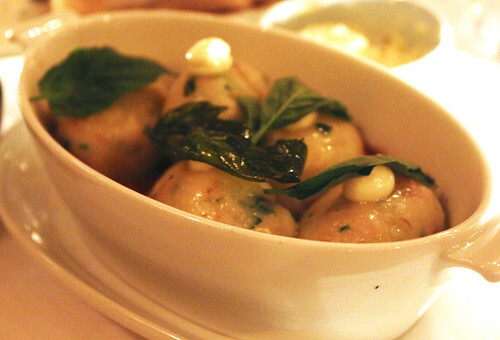 We started off with the rock shrimp polpette, which surprisingly wasn’t anything to remember. It was tender and light. 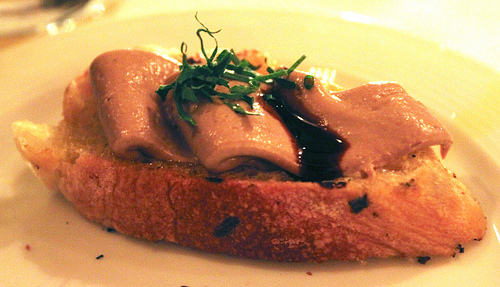 Those who love pate would love this crostini. On top of this grilled bread is whipped chicken liver with balasmic, making it light and easy to pop into your mouth. 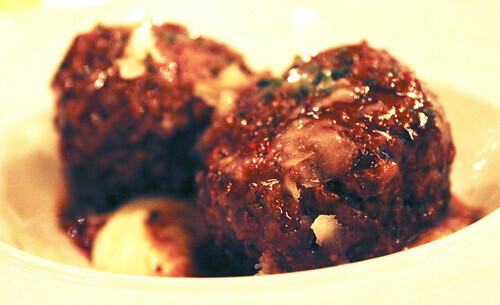 Roasted veal meatballs with white polenta, herbs, and truffle pecorino. The meatballs were tender and well seasoned, so I definitely enjoyed it. We ended up getting our own pastas which I was particularly excited about. 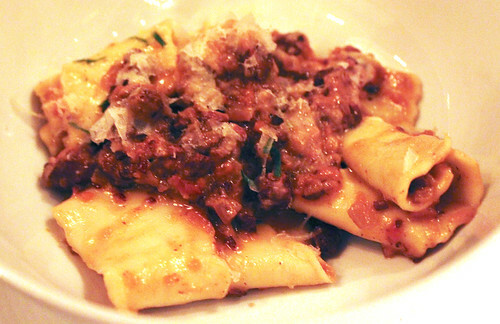 Shown above is their pappardelle with duck bolognese, oregano, and pecorino di noce. The pappardelle was freshly made and al dente, and with the bolognese made it a very hearty dish. 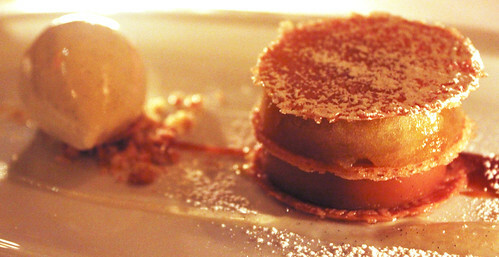 To end it all, we shared the honey crisp apple napoleon served with caramel custard, apple cider, and tahitian vanilla gelato. This was delicious and definitely memorable. I found that the different textures of the napoleon (crunchy and thick) along with the ice cream (cold, smooth) worked very well together. All in all, Ciano is a restaurant I would go back to particularly to try their other pastas and desserts!